Whether you’re working with commercial or residential air systems, a digital multimeter is the constant companion of many an HVAC tech. They’re extremely useful for troubleshooting systems, and thankfully manufacturers have taken note and produced meters for this specialized work. The first thing you’ll want to look for when you’re purchasing a HVAC multimeter, beyond the normal safety and reliability features you need for any multimeter, is a temperature gauge. Far from being a gimmick, it’s absolutely essential when you’re working with air and refrigeration systems and it can save you from having to carry a second tool to measure it. 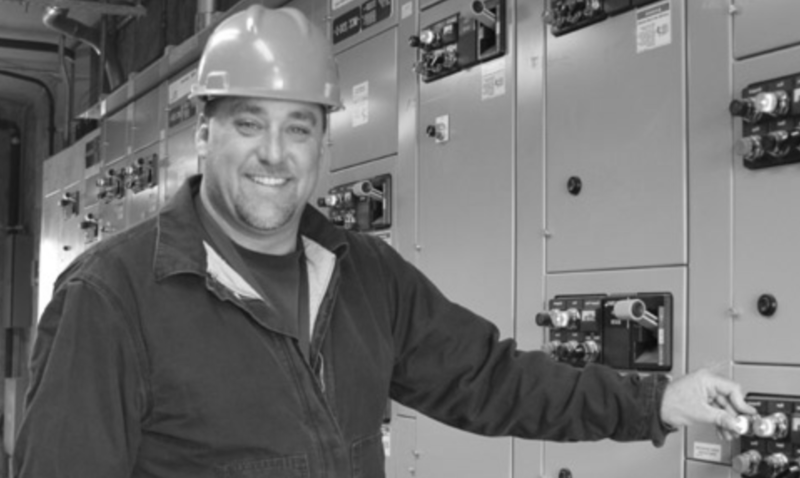 If you’re still trying to determine what meter you need for this kind of work, we’re here to proudly present three of the best on the market and discuss what their relative strengths are so that you can make an informed purchase that will keep your work in the field safe and efficient for a long time to come. ​See the best deals on our number 1 HVAC multimeter here. Fluke makes some of the best meters around, and the Fluke 116 is great for anyone who works with HVAC on a regular basis. It can read temperature in both Celsius and Fahrenheit at the touch of a button and easily reads microamps which can be essential for flame sensors. Of course, it also works great as a standard multimeter in addition to the specialized features. It measures all of the usual suspects including voltage, amperage, and capacitance. It’s very accurate as well, and will give you your readings quickly and even comes with a certificate verifying that it’s been professionally calibrated. The smaller size compared to some of the electrician multimeters on the market is also valuable if you work on refrigeration as well as air systems you’ll find this comes in quite handy, particularly when you’re working in cramped spaces. You'll find it fits quite comfortably in a pouch or belt. The bright LED backlight is also a great feature when you’re working in those conditions. The interface and knob are also easy to work, especially in small quarters and you’ll find that it’s rather intuitive even if you’ve never used a meter before. As long as you’re familiar with the symbols for the various qualities of electricity, it’s plug-and-play and good to go right out of the box. One thing to be aware of is that you’ll need to let the thermometer calibrate for a few minutes before it will give you accurate readings. Once it’s normalized to the surrounding temperature, you’ll be good to go. Thankfully, since it’s a Fluke there’s also a wide range of accessories available to help you get some extra features with your multimeter. For the HVAC specialist, it’s definitely worth looking into specific temperature probes, and an amp-clamp is never amiss in the field. If you’re looking for the top of the line multimeter for working in with refrigeration, air conditioning, and heat pumps take a close look at the Fluke 116, it’s absolutely the best around. Very easy to understand, even for beginners. Have to wait for the multimeter to calibrate when measuring temperatures. It’s not the most advanced multimeter on the market, but the HS26 is a highly modular piece of equipment that can fit pretty much anywhere which makes it a great investment for the beginning HVAC technician. The HS26 was the first design by Fieldpiece, and as the name implies it was made for use in the field. They sacrificed some of the accuracy and functions of the more expensive Fluke models in order to create a meter targeted at technicians which were easy to carry and capable of withstanding rougher handling. Most HVAC technicians will agree that they did a fine job at meeting their design goals. The Fieldpiece HS26 can measure pretty much any part of an electrical system you need to know about, and it comes with the ability to detect micro amperage. Unfortunately, however, you’ll have to invest in another attachment if you’re planning on using it to detect temperatures. Where this one really shines is in its compact design. It won’t take up much room in your tool bag, and if you need it to it’ll definitely fit in a pants pocket. It’s also rugged enough to take a pretty good fall. The low price also makes the HS26 a good idea for hobbyists as well as professionals. While it’s not as accurate or fast as more expensive meters, it will definitely serve well around the home or in the field as the case may be. Since you can expand its capabilities with add-ons, you can get whatever you may need as you can afford it. The only real problem is that the model is a bit outdated at this point, technology advances quickly and while the HS26 was the top of the line twenty years ago it’s not quite as amazing today compared to some of your other options. If you’re looking for a functional and affordable meter that can be expanded greatly in capabilities as time goes on, the HS26 may be exactly what you’re looking for. The Fieldpiece HS33 is an improvement over the HS26 model for a bit of a price hike. It’s still a stick model meter, meaning that the compact design will easily fit wherever you may need it. It’s accurate and fast reading as well. It will handle all of the usual suspects when it comes to electricity, including amperage, voltage, resistance, capacitance and the like. It’s also extremely modular, with Fieldpiece selling add-ons for it that can allow it to use a mind-boggling different array of functions. Unlike the HS26, this one is also ergonomically designed to allow you to hold it with more comfort. It also comes with a magnetic backing so you can stick it up on a piece of sheet metal for easy readings while you’re working with the leads. 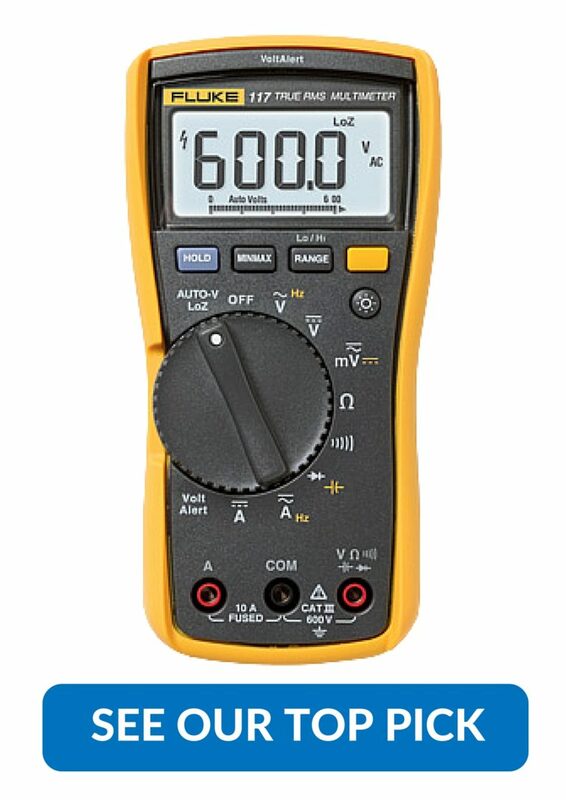 Once you add in the fact that it can do non-contact voltage testing, you’ve got a winner on your hands and you can see why this multimeter is widely regarded as one of the best. It does come with a couple of drawbacks, however. The most unfortunate of these is that it’s not quite as accurate as Fluke models of multimeter due to Fieldpiece’s design philosophy of sacrificing some of the more delicate circuits in pursuit of making a tougher meter. It also lacks a backlight, which can be a pain if you find yourself frequently working in crawlspaces and attics. Overall, however, the Fieldpiece HS33 is a fantastic meter for almost any HVAC technician and the amount of mind-boggling add-ons make it a purchase that you won’t regret. Which Meter Do I need? Each of these meters has a place they’ll really shine. Overall, however, which one you go with is most likely to be determined by your budget. The Fluke 116 is the best overall, and also the most expensive. It’s also a bit bulkier than the other two, but it makes up for it with the increased accuracy and swiftness of the readings and if you frequently work in the dark you’ll find that the backlight is an absolute lifesaver. It’s high-quality, durable, and sure not to let you down for a long time to come. The Fieldpiece HS26, on the other hand, is an old and trusted design and quite cheap in comparison. However, it’s not quite up to par with the others as far as the basic functions go, and an old design doesn’t necessarily make for a better one. If you’re on a tight budget, however, you can get your meter and work on expanding its capabilities after the fact. Finally, the Fieldpiece HS33 is a fantastic meter if you can’t quite fit a Fluke into your budget. It’s hardy of design and the amount of attachments available after the fact dwarf even the HS26 in sheer functionality for an HVAC technician. It still lacks a backlight, however, which can be a deal breaker depending on what kind of work you’re most commonly doing. We can’t recommend the Fluke 116 enough, Fluke really is the gold standard of digital multimeters and this one is in our opinion the best multimeter for HVAC use. If you’re a budding HVAC technician just starting to get into the field, it can sometimes be a bit of a crapshoot when you’re selecting your tools. It doesn’t have to be, however, and any of these three meters are sure to serve you admirably. Your multimeter can be your best friend in this field, and you’re sure to be using it a lot so make sure that you get the highest quality you can afford in order to ensure both your efficiency and your safety while you’re working. There’s no need to hesitate, order one of the above meters today and you’ll be on your way to quickly diagnosing and fixing problems.